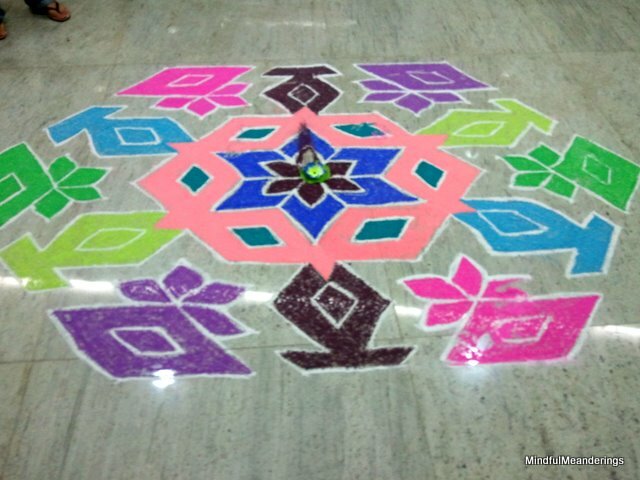 Rangoli designs are made during festivals and other special occasions. 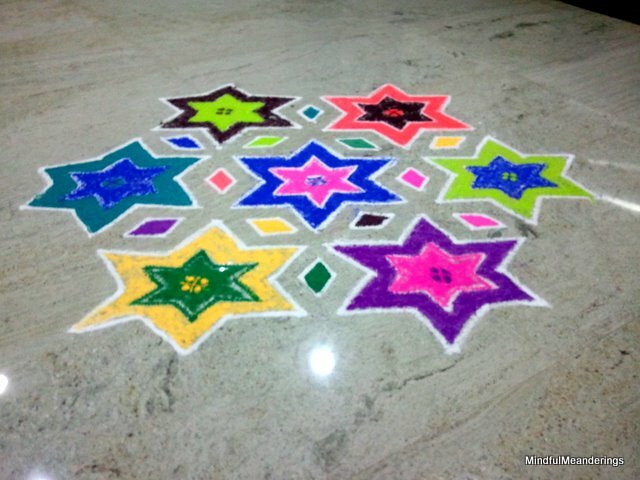 They are made using rice flour; coloured saw dust, sand or rice. 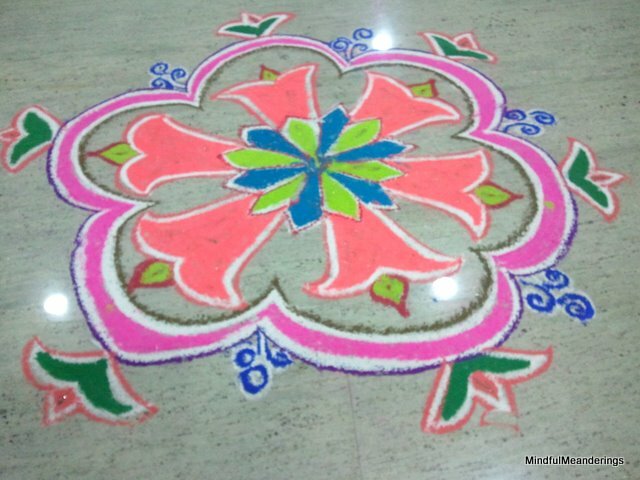 You can also draw easy and simple rangoli designs using gulaal. 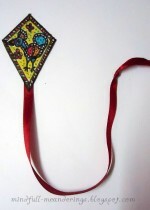 It is are available everywhere and come in myriad colours. 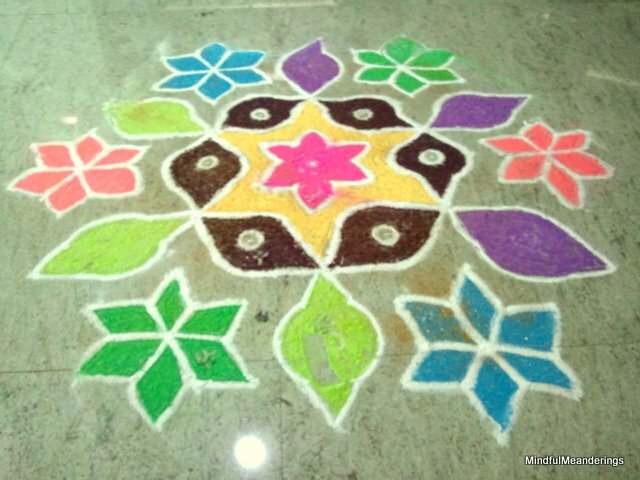 Now a days you also get rangoli moulds in the market too. 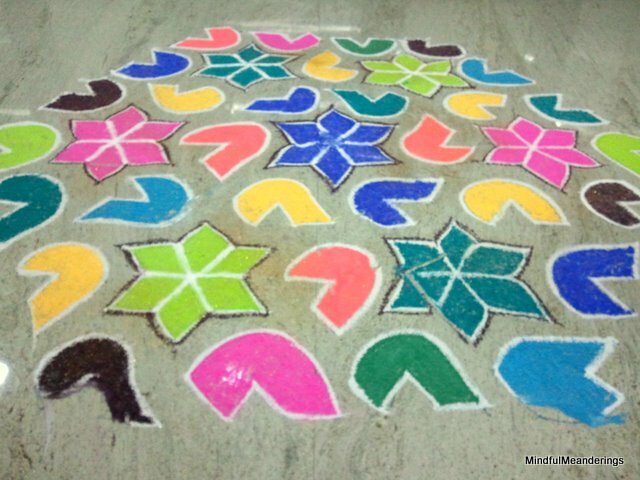 Rangoli designs are known as Muggu in Andhra Pradesh and Telengana, and is made using chalk, chalk powder or white rock powder. 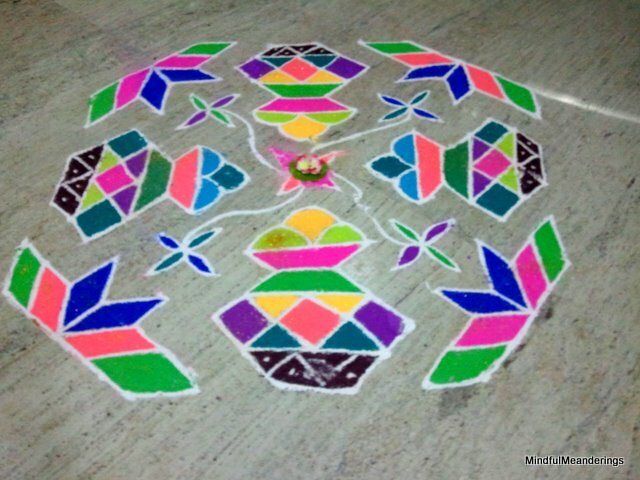 Rangoli designs are called Kolam in Tamil Nadu; Mandana in Rajasthan. 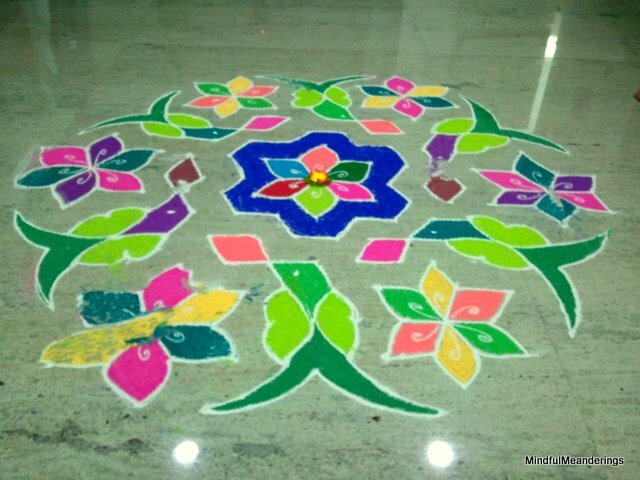 It’s known as Chaookpurna in Chhattisgarh; Alpana in West Bengal; Aripana in Bihar; Chowk pujan in Uttar Pradesh; and Golam kolam or kalam in Kerala.
. Embellish with glitter for added impact. 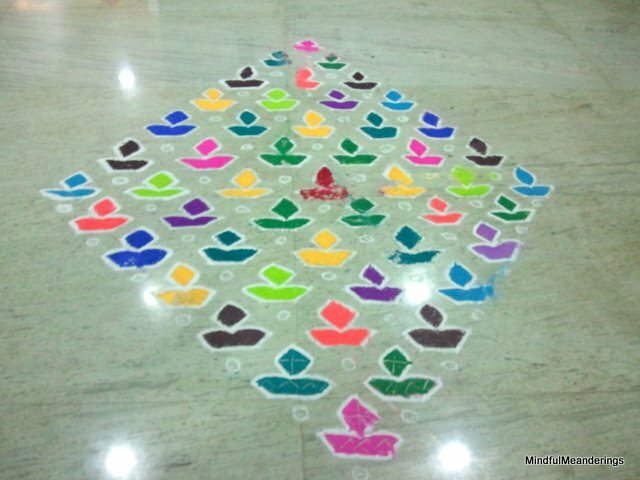 This was in our office foyer . 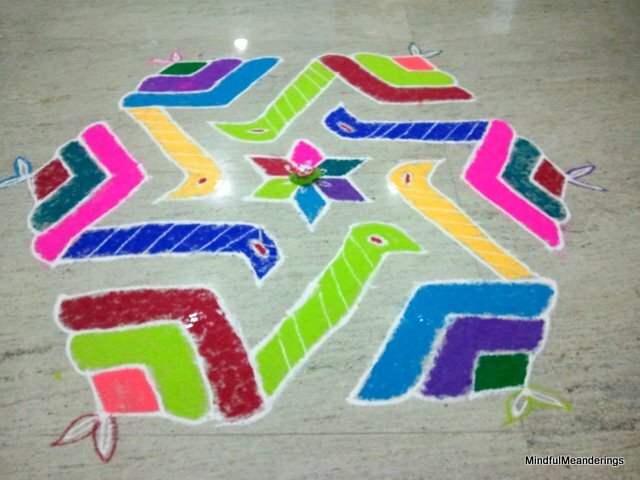 The Duck Sankranti Rangoli Design was also so pretty. 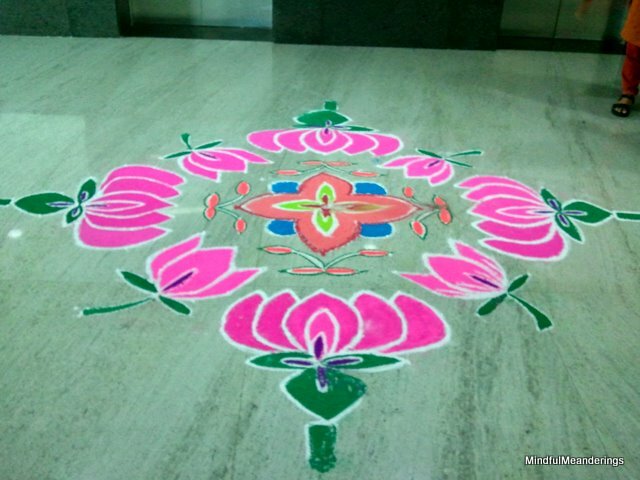 Doing a Rangoli design right takes a bit of practice, but with a steady hand and a bit of patience it can be done by anyone. 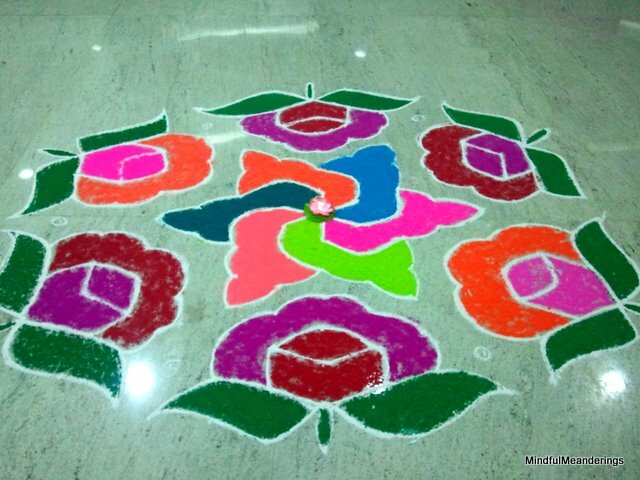 We love the fact that these Rangolis can make any boring place vibrant and there are a zillion designs from which you can choose a perfect one. 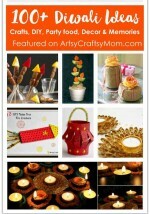 Use any of these designs or just use these as your inspiration and create a new designs to decorate your home. Absolutely brilliant!! 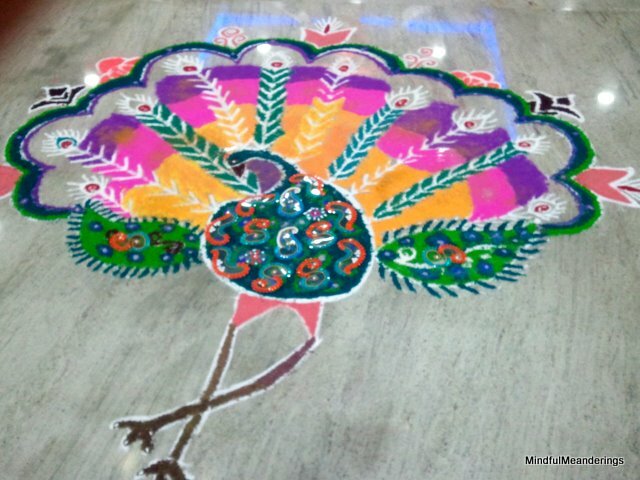 Specially the peacock! These are beautiful. 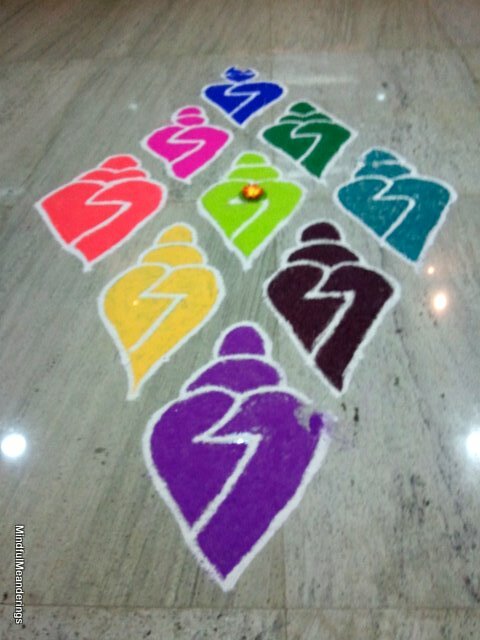 I love all the colors! @vidya: 🙂 The ladies had them up before 7 AM!! 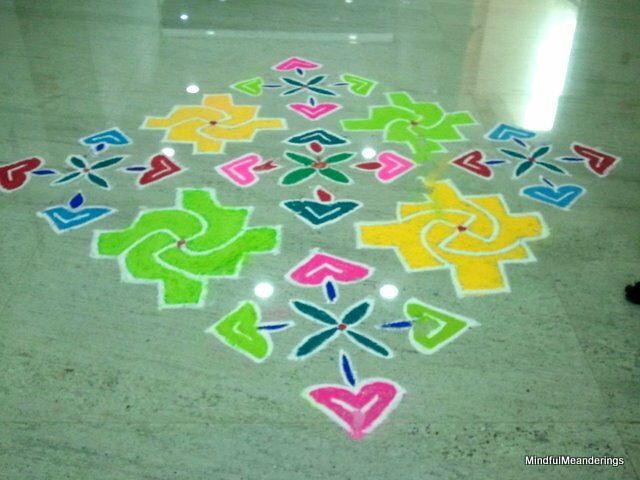 and each design was different. 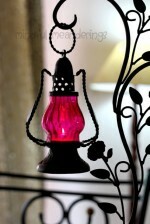 @Woodooz – : it was a pleasant surprise for us too. 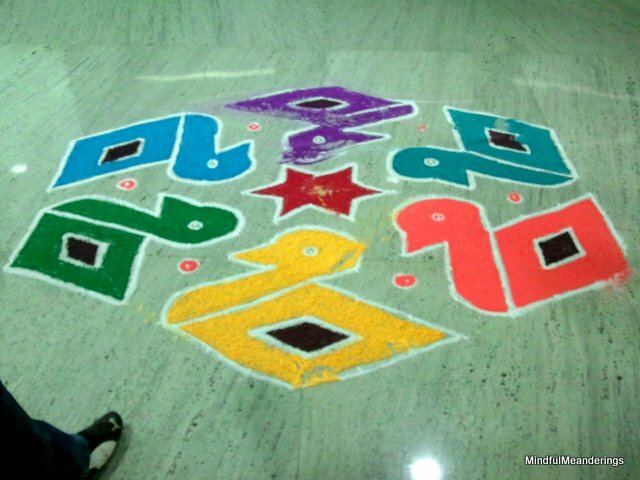 We stopped at each floor, admired their handiwork and took pics. 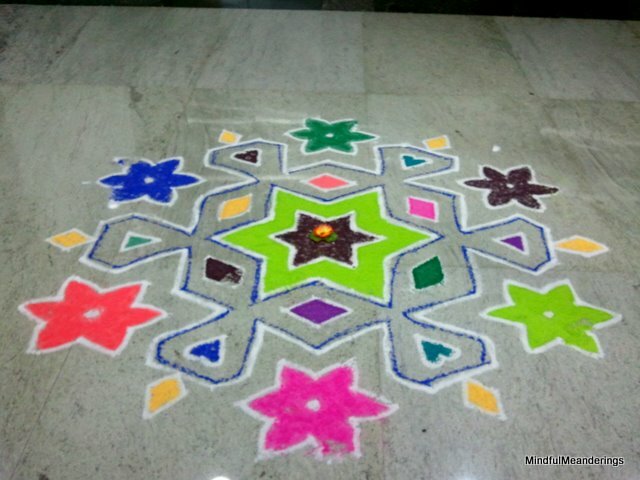 But it was sad that a few people had already spoilt it by stepping on it.